The exclusive Reef Beach & Restaurant is in the Cala di Volpe bay. Beach bar and elegant restaurant for a unique experience. Every day our friendly and professional crew will guide you on memorable and exciting fishing trips with the most prestigious boats. 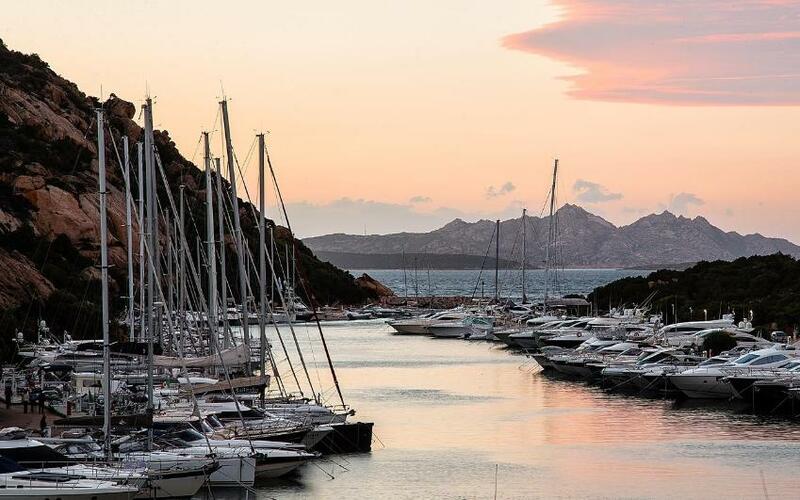 Porto Cervo, the heart of Costa Smeralda, is a paradise where glamour, luxury and glossy nightlife meet with gorgeous beaches and an emerald sea. 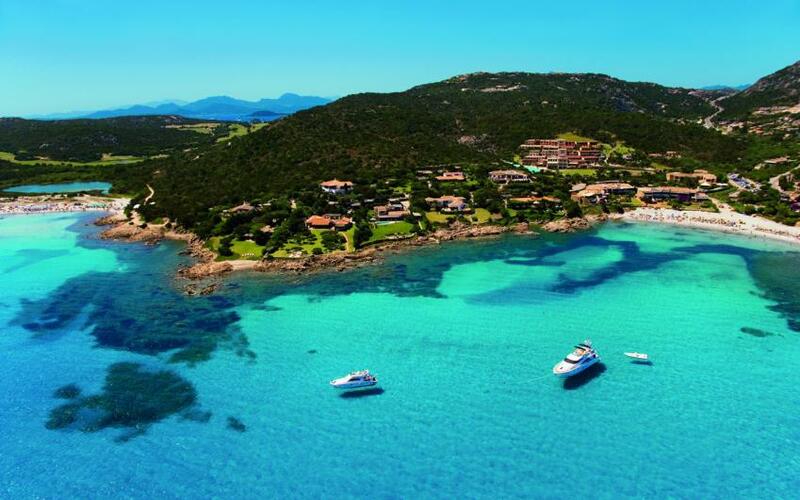 Porto Cervo, in the hamlet of Arzachena, is the symbol of luxury vacations in Sardinia, where hotels offer amazing suites of hundreds of square meters. 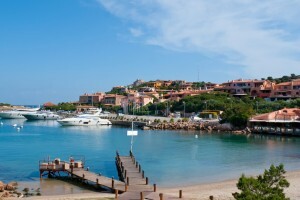 Porto Cervo Marina is also one of the biggest tourist ports of the Mediterranean Sea. Between July and August Porto Cervo’s square, fashion boutiques and above all the yachts and sail boats host celebrities and VIPs, filling newspapers with summer gossip. Porto Cervo is also full of exclusive nightclubs. Its close proximity to Baja Sardinia and Porto Rotondo make it an ideal starting point for your holidays in Costa Smeralda. There are many attractions that make it one of the most exclusive holiday destinations in the world: the Esmerald Bazar, Harrods’ temporary shop opened in June 2013 and designed by Gio Pagani inside the old harbor, Porto Cervo’s Wine & Food Festival, Rossana Orlandi’s design studio, exhibitions dedicated to Andy Wharol. 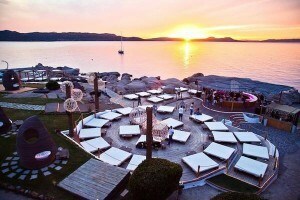 In the splendid scenery of the Costa Smeralda in 2013 was founded the beautiful Reef Beach & Restaurant. Could you imagine sipping a cocktail at sunset in the surrounding of the bay of Cala di Volpe, one of the most exclusive places in the world and to be lulled by the sea breeze after a relaxing day enjoying the sea. After then to taste the culinary fish specialties, by tasting of the excellent made in italy and international wines. All this is possible at the Reef Beach & Restaurant. 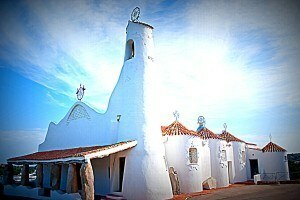 The Reef is located in the beautiful bay on the white sandy beach of Cala Petra Ruja overlooking the sea. The name of the Restaurant is due to the granite red rocks. Here the sea is crystal blue. The seawaters are transparent and shallow. To the north of the beach Petra Ruja is located the beach called the Long Beach, while to the south the beach Razza di Junco. The Reef Restaurant is reachable in two different ways: by walk through a path passing the beach of Petra Ruja or by the sea thanks to the tender Reef Beach starting from the pier of Cala di Volpe. The journey takes 15 minutes and during the path, you will admire the beautiful landscape and the crystalline sea of this bay. This marvelous place is the perfect oasis of peace and tranquility glamour. From early in the morning you can use the beach service, there are at the disposal of the guests, umbrellas and sun loungers and free beach towels. The Beach Bar offers refreshing drinks, ice creams, delicious cocktails and snacks accompanied by the enjoyable music. Other available services at the disposal of the guest: free Wi Fi, showers and locker rooms for those who want to prepare for a sunset aperitif and then for an unforgettable dining experience in the evening. The beach assistance is available from 9 am to 19 pm and provide a daily towel change and accessibility for the disabled. The Restaurant offers a refined menu in a unique and fascinating setting. Mediterranean flavors surrounded by the wild nature will make you lives unforgettable atmosphere of a real dream. Suitable and recommended for couples who want to celebrate an anniversary or special occasion, also perfect for exclusive events such as weddings or private and theme parties, all in total privacy with the highest standard of service. Whatever it’s, a delicious lunch based on seafood and fish, an aperitif by the sunset or a romantic dinner, the Reef Experience is for sure an unforgettable experience to try at least once in a life. With the most prestigious boats, our crews will guide you on memorable days to discover the La Maddalena Archipelago and the South of Corsica. Exclusive service on board.Poseidon is also specialized in fishing trips and provides you with the best equipment to cope with any type of capture together with the experience of experienced local fishermen. The activities:- Fishing trips;- Organization of “all inclusive” fishing weekends;- Whale watching (sighting large cetaceans);- Internships dedicated to the deepening of the various techniques. We think of everything:Equipment, baits, lunch, fuel, expert crew to guide you in the most fishy waters. 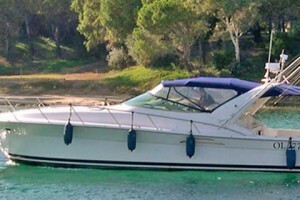 In addition there is the possibility of Luxury Yacht rental to choose from a wide range of proposals.Service available in all the ports of Northern Sardinia. Latest generation American Fisherman with every comfort on board: air conditioning, hi-fi, refrigerator, kitchenette, microwave and colour TV. Designed for fishing and equipped with the best professional instruments as well as a professional SONAR 360 ° scanner. This model also features the most sophisticated fishing gear and electronic equipment available on the market. Spacious and stable 14-metre boat with an elegant, sporty design, suitable for any type of deep-water fishing. Perfect solution for the maximum comfort. This boat has all the prestigious optionals. If you are on holiday will children, Porto Cervo boasts of the best amusement parks, Gregoland just a stone’s throw away form Porto Cervo Marina. During the summer Costa Smeralda offers exclusive concerts often followed by gala dinners in the most luxurious hotels such as Cala di Volpe: in previous years Elton John, Mika, Anastacia, Zucchero, Jamiroquai and Mary J. Blige played here, just to name a few. Porto Cervo’s Food Festival in September and Porto Cervo’s Wine Festival in May are two not-to-miss gourmet events, where one can taste the best of Sardinia’s enogastronomy. Other events that attract enthusiasts from all over the world are the Costa Smeralda Rally and, for sailing lovers, Maxi Yacht Rolex Cup regatta. For those who love windsurfing and kitesurfing, at Liscia di Vacca they offer lessons and rent out equipment to sail across the water carried by the wind. Enjoying an aperitif at sunset at the Phi Beach Bar is one of the top 10 things to do in Porto Cervo. According to Vanity Fair and the New York Times this is one of the 10 best beach bars in the world. 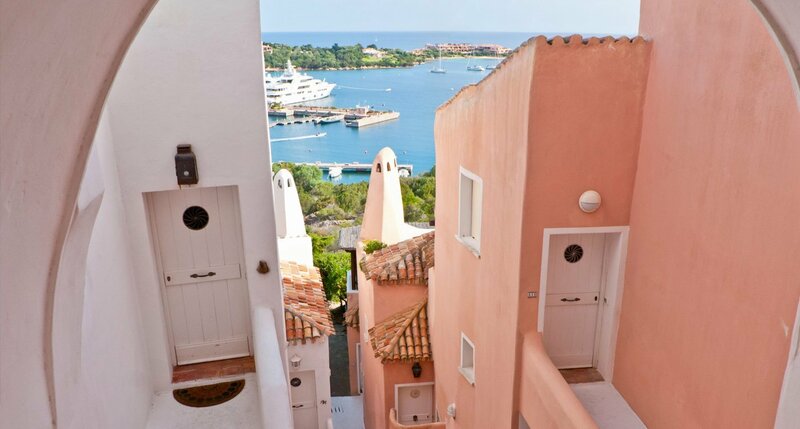 Porto Cervo is not only a destination for shopping and celebrity spotting, but also one of Costa Smeralda’s main attractions: the style, the forms, the architecture have created what would come to be known as “Mediterranean Style”. The architects of Costa Smeralda are Luigi Vietti, Jacques Coüelle and Michele Busiri Vici. 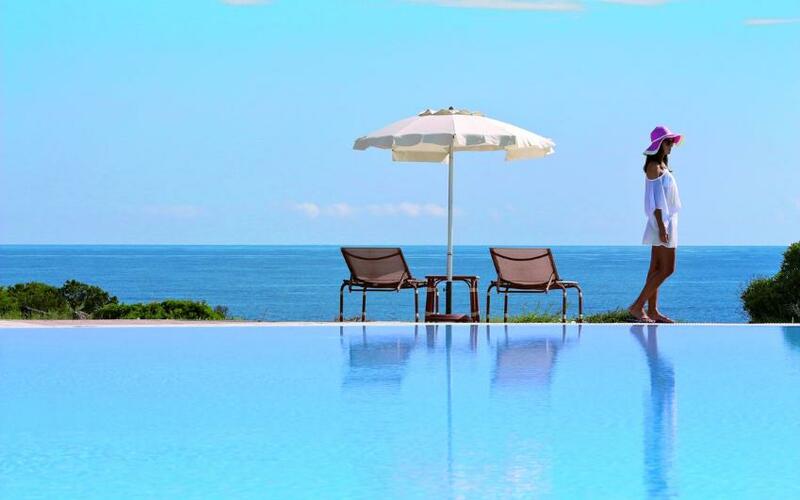 Among the works of art to see in Porto Cervo we recommend Porto Cervo’s square, the Curch of Stella Maris designed by architect Michele Busiri Vici, the Dolce Sposa complex and the Starwood hotels: the Cervo Hotel, the Cala di Volpe Hotel, the Pitrizza Hotel and the Romazzino Hotel. Visiting the Church of Stella Maris you can marvel at the Mater Dolorosa dating back to the 1400s by El Greco (Domenico Theotocopulos), Greek Renaissance artist, and at the sculptures by Pinuccio Sciola. Porto Cervo is Costa Smeralda’s main tourist port. The coast is a series of small coves and beaches, some of which only accessible by boat or via a path. In front of the island which shares its name, Portisco beach has a shallow seabed, emerald water and thin and pleasant sand. There is a wooden kiosk and the possibility to rent beach chairs and umbrellas, perfect for families with children. In Sardinian language Rena means sand, and with its white sand and shallow waters this beach is perfect for children. Razza di Giunco derives its name from the soft rush which protects the beach and make it one of the best in Northern Sardinia. From an environmental standpoint, in 2012 and 2013 this beach received the 4 Sails award of Legambiente’s Blue Guide, thanks to the pristine nature that surrounds it. It consists of four different coves facing north after the Rena Bianca beach. For this reason on maps it is often referred to as Giunco beach, Northern or Southern Giunco Beach. Just a bit further north, Petra Ruja is a small sandy cove protected by the vegetation typical of Sardinia, the Mediterranean maquis: mastic, juniper and arbutus. At the edge of the cove there are red granite rocks. 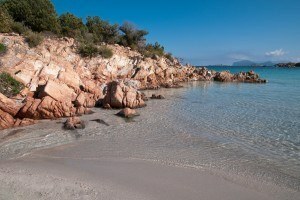 These are the longest beaches of Costa Smeralda, made of white sand. During the summer, the Long-Beach Cafè is open, an ideal spot for a romantic aperitif at sunset. 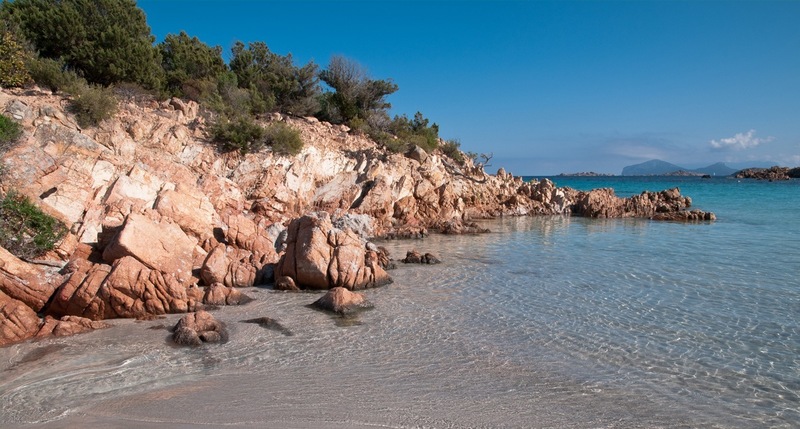 Accessible on foot via a path, this is most certainly Costa Smeralda’s most beautiful beach, a protected cove. The colors of its sand and water will amaze you. 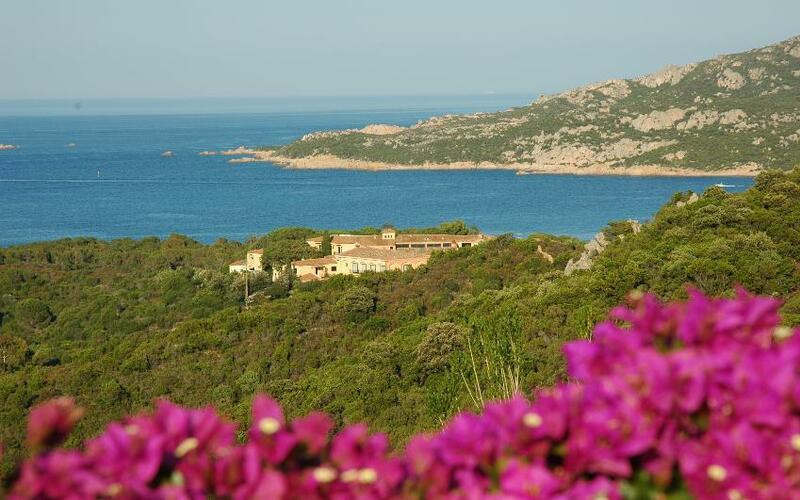 An oasis of tranquillity and pristine nature in the Costa Smeralda with private beach and only about 1 Km from Porto Cervo and 5 Km from Pevero Golf Club.